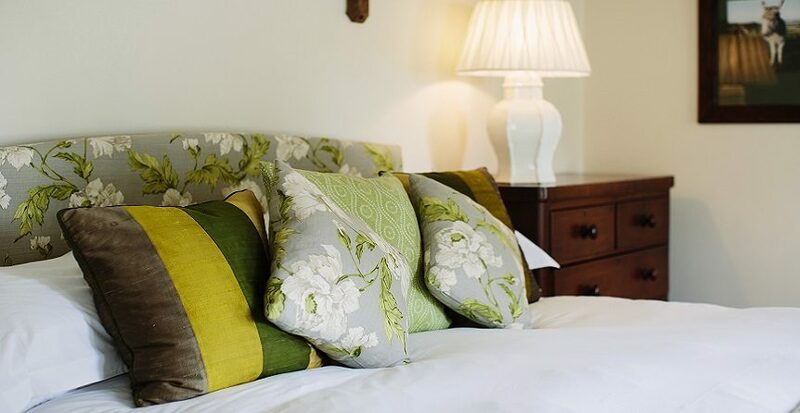 Monday – Friday inclusive for £180 per couple includes Bed & Breakfast and an allowance of £80 towards drinks and dinner. Choose anything from the A La Carte Menu or Blackboard Specials. Or Upgrade to The Studio or Rose Cottage for £25 per couple. Or Book Rose Cottage for 3 or 4 and pay £300 – ideal for friends and family sharing. This offer is available throughout the year with some exceptions and subject to availability. Valid for stays, Monday-Friday inclusive; based on 2 people sharing a Junior Cottage: includes, Bed & Breakfast and an allowance of £80 towards dinner & drinks. Ugrades to The Studio or Rose Cottage for £25 per couple do not include an increased food & drink allowance. Rose Cottage for 3 or 4 and pay £300, the food & drink allowance is £160, (excludes Bank Holidays, Valentine’s Day, Christmas & New Year’s Eve). Subject to availability, not in conjunction with any other offers. Offer may not be extended to include items from the Shop or the Mini Bar. Our Dinner, Bed and Breakfast Offers are all Non-Refundable. Should you wish for more flexibility, we have a fully refundable Bed and Breakfast rate with a 48 hour cancellation policy.